Professor O’Neill joined Murdoch University as Dean of the School of Business and Governance in September 2017. With nearly three decades of higher education experience, he is a respected academic leader. As Dean, Grant provides leadership across the School’s diverse learning and teaching, research, and engagement activities. Grant has committed the School to producing workplace-ready graduates who have a global mindset and are future-enabled. He is passionate about building strong and productive relationships within, and beyond, Murdoch with the aim of enhancing the relevance of the School to students, business and government, and wider society by driving contemporary academic practice and innovation. 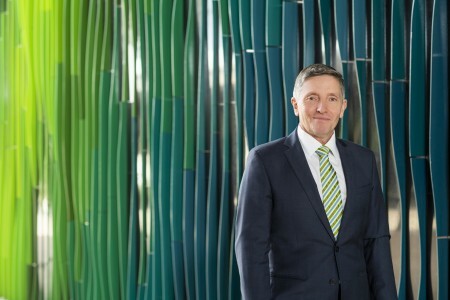 Immediately prior to joining Murdoch, Professor O’Neill worked at Curtin University where he held several roles in the Curtin Business School including Dean, Accreditation, Strategy and Change and Dean, International, Accreditation and Strategy. He provided leadership to the AACSB accreditation efforts, strategy development and implementation, and numerous change initiatives. His strategic leadership contributed greatly to the re-positioning of Curtin Business School as a high quality, industry-engaged international business school. Previously, Grant was Associate Dean (Courses) at Charles Sturt University where he was responsible for leading and managing the design, delivery and quality assurance of all programs offered by the Faculty of Business in Australia, internationally and online. Grant has also worked at the University of New South Wales and the University of Western Sydney. His broad higher education sector knowledge and leadership capabilities reflect the diversity of roles he has filled, including: Head, School of Marketing and Management; Head, School of Business; Sub Dean Graduate Training; DBA Director; MBA Director; and, Course Coordinator for numerous undergraduate and postgraduate programs. Professor O’Neill possesses an extensive teaching portfolio in the humanities and business, most recently teaching at postgraduate level in Change Management and Strategic Management. Grant also has considerable experience in higher degree by research supervision, and has been successful in winning competitive grant incomes and publishing in the management discipline. Chang, J., Travaglione, A. and O’Neill, G. (2017) ‘Job attitudes between unionized and non-unionized employees’, International Journal of Organizational Analysis, 25 (4), pp.647-561. Kubicek, A., Bhanugopan, R., and O’Neill, G. (2017) ‘How does cultural intelligence affect organisational culture: the mediating role of cross-cultural-role conflict, ambiguity and overload’, International Journal of Human Resource Management, (Feb). pp. 1-25. O’Neill, G., Travaglione, A., McShane, S., Hancock, J. and Chang, J. (2017) ‘Converting values awareness to values enactment through frame-of-reference training’, in ‘Demographic influences on employee trust towards managers’, International Journal of Organizational Analysis, 25 (3), pp.536-558. Chang, J., Travaglione, A., and O’Neill, G. (2016) ‘Demographic factors and risk perceptions at work: how safe do employees feel?’, Journal of Health Safety and Environment, 32 (2), pp.125-135. Chang, J., Travaglione, A., and O’Neill, G. (2015) ‘How can gender signal employee qualities in retailing’, Journal of Retailing and Consumer Services, 27, pp 24-30. Chang, J., O’Neill, G., and Travaglione, A. (2015) ‘Towards an industry-tailored management approach: A study of retail employee attitudes’, Journal of General Management, 41 (1), pp.45-59. Krivokapic-Skoko, B. and O’Neill, G. (2011) ‘Moving beyond the qualitative-quantitative distinction: Innovative methods for business and management research’, International Journal of Multiple Research Approaches, Vol. 5, No.3, pp.290-300. Krivokapic-Skoko, B., O’Neill, G. and Dowell, D. (2010) ‘Assessing the Contents of the Psychological Contracts: A Cross-Sectional Survey of the Academics at an Australian University’, New Zealand Journal of Employment Relations, Vol. 34, No. 2, pp. 4-28. Krivokapic-Skoko, B., Dowell, D. and O’Neill, G. (2010) ‘Research Note: Undertaking Cross-Cultural Research into Psychological Contracts’ New Zealand Journal of Employment Relations, Vol 34, No. 2, pp. 87-94. O’Neill, G., Krivokapic-Skoko, B. and Dowell, D. (2010) ‘Unpacking informal contractual relationships: Psychological contracts established by Australian business academics’, Irish Journal of Management, Vol.29, No.2, pp. 5-33. Zheng, C., O’Neill, G. and Morrison, M. (2009) ‘Enhancing Chinese SME Performance Through Innovative HR Practices’, Personnel Review, Vol. 38, No.2, pp. 175-194. Krivokapic-Skoko, B. and O’Neill, G. (2008) ‘University Academics ‘Psychological Contracts in Australia: a Mixed Method Research Approach’, Electronic Journal of Business Research Methods,Vol. 6, No.1, pp. 61-72. Heffernan, T., O’Neill, G., Travaglione, T. and Droulers, M (2008) Relationship Marketing: The Impact of Emotional Intelligence and Trust on Bank Performance, International Journal of Bank Marketing, Vol. 26, No. 3, pp. 183-199. Tipples, R., Krivokapic-Skoko, B and O’Neill, G. (2008) ‘University Academics’ Psychological Contracts in Australia and New Zealand’, New Zealand Journal of Employment Relations, Vol. 32, No. 2, pp. 32-52. Zheng, C., O’Neill, G. and Morrison, M. (2007) ‘Ownership and Strategic Choice of HR Methods by Chinese SMEs’, The Asia Pacific Journal of Economics and Business. 11 (1). Firns, I., Travaglione, A. and O’Neill, G. (2006) ‘Absenteeism in times of rapid organizational change’, Journal of Strategic Change.15 (3), pp. 113-128. Zheng, C., O’Neill, G. and Morrison, M. (2006) ‘An Empirical Study of High Performance HRM Practices in Chinese SMEs’,International Journal of Human Resource Management. 17 (10), pp. 1772-1803. Ferres, N., Travaglione, T., and O’Neill, G. (2005) ‘The role of Emotional Intelligence within Transactional-Transformational Leadership’, Journal of Business and Leadership: Research, Practice, and Teaching.1 (1), pp. 68-79. Jarratt, D.G. and O’Neill, G. (2002) ‘Corporate Culture and Business-to-Business relationship performance’ Australasian Marketing Journal, Vol 10, No 3 pp. 21-40. Crouch, M. and O’Neill, G. (2000) ‘Sustaining Identities?’, Social Science Information, 39 (1), pp. 181-192. Krivokapic-Skoko, B. and O’Neill, G. (2010) ‘Doing Mixed Methods Research’, in Higgs, J., Cherry, N., Macklin, R. and Ajjawi (Editors) Researching Practice: A Discourse on Methodologies, Sense Publishers, Rotterdam. Pearson, W. and O’Neill, G. (2009) ‘Australia Day: A day for all Australians’, in McCrone, D. and McPherson, G. (editors) National Days, Palgrave Macmillan, London. Basu, P., O’Neill, G. and Travaglione, T. (Editors) (December, 2007) Engagement and Change: Exploring Management, Economic and Finance Implications of a Globalising Environment, Australian Academic Press, Brisbane. Krivokapic-Skoko, B., O’Neill, G., and Foundling, M. (December, 2007) ‘The Development and Effects of Psychological Contracts: An Exploration of the Contracts Established by Academics within an Australian University Business School’, in Basu, P., O’Neill, G. and Travaglione, T. (Editors) Engagement and Change: Exploring Management, Economic and Finance Implications of a Globalising Environment, Australian Academic Press, Brisbane. O’Neill, G., Basu, P. and Travaglione, T. (December, 2007) ‘Exploring the Impact of Globalisation on Contemporary Business’, in Basu, P., O’Neill, G. and Travaglione, T. (Editors) Engagement and Change: Exploring Management, Economic and Finance Implications of a Globalising Environment, Australian Academic Press, Brisbane. Kubicek, A., Bhanugopan, R., and O’Neill, G. (2015). ‘Cultural intelligence and organisational culture: the mediating role of cross-cultural role conflict, ambiguity, and overload’, Australian and New Zealand Academy of Management (ANZAM) Conference, 2-4 December 2015, University of Otago, New Zealand. Shanker, R., Bhangugopan, R., and O’Neill, G. (2015) ‘The effects of transformational leadership on organizational performance in Malaysian Government-linked companies’, Asian Congress of Applied Psychology (ACAP 2105), 19-20 May, Singapore. Chang, J., Travaglione, A., and O’Neill, G. (2014) ‘Analysing job attitude differences between unionized and non-unionized employees’, Cambridge Business and Economics Conference, 1-2 July, Cambridge, UK. Chang, J., O’Neill, G., and Travaglione, A. (2013) ‘Demographic Factors Influencing Managerial Trust and Psychological Contract Breach’, 5th American Business Research Conference, 6-7 June, New York, USA. Krivokapic-Skoko, B., O’Neill, G. and Dowell, D. (2011) ‘Academics and Breach of Psychological Contracts in the University Sector: Insights from an Australian Business School’, British Academy of Management Conference, Birmingham, UK. Krivokapic-Skoko, B., O’Neill, G. and Dowell, D. (2010) ‘I really still care about my teaching: the impact of breaches of the psychological contract upon academic staff within an Australian university’, ANZMAC 2010, Christchurch, New Zealand. Krivokapic-Skoko, B. and O’Neill, G. (2010) ‘When a qualitatively oriented researcher moves into the arena of mixed methods research’, 9th European Conference on Research Methodology for Business and Management Studies, Madrid, Spain. McShane, S., Travaglione, T., O’Neill, G., and Hancock, J. (2010) ‘Job and Personal Predictors of Values Enactment Clarity: Toward a Behavior Domain Approach to Developing Values-Driven Organizations’, IFSAM Conference, Paris. Travaglione, T., McShane, S., O’Neill, G., and Hancock, J. (2009) ‘The Relationship between Managerial Values Enactment, as a construct of behavioral integrity, and Employee Trust in Management’, 11th International Conference on Global Business and Economic Development, Bratislava, Slovak Republic. Travaglione, T., Hancock, J., McShane, S. and O`Neill, G. (2009) ‘Validating managerial values enactment as a measure of managerial behavioural integrity, and its key relationship with trust’, Curtin International Business Conference: Business sustainability in the era of globalisation, Bentley, Western Australia. McShane, S.L., O’Neill, G., and Travaglione, A. (2008) ‘Rethinking the Values-Driven Organization Process’, Academy of Management Conference, Anaheim, USA. O’Neill, G., Krivokapic-Skoko, B. and Dowell, D. (2008) ‘Professionalism in a changing work environment’, Irish Academy of Management Conference, Dublin City University Business School, Dublin, Ireland. Krivokapic-Skoko, B., O’Neill, G. (2008) ‘The Use of a Sequential Multi Method Research Design in Exploring Psychological Contracts within Academia’, The 7th European Conference on Research Methodologies for Business and Management Studies (ECRM 2008), Regent’s College London, UK. McShane, S., O’Neill, G. and Travaglione, A. (2007) ‘Managing Employee Values in Values-Driven Organisations: Contradiction, Façade and Illusions’, ANZAM Conference, Sydney. Zheng, C., O’Neill, G. and Morrison, M. (2006) ‘Ownership and Strategic Choice of HR Methods by Chinese SMEs’, 3rd International Conference on Contemporary Business, Peppers Fairmont Resort, Leura, Australia. O’Neill, G., Krivokapic-Skoko, B., Travaglione, A. and Foundling, M. (2006) ‘’Exploring Psychological Contracts Established by Academics: Empirical Evidence from an Australian University’ UTCC International Conference on Business, Shangri-La Hotel, Bangkok, Thailand. Krivokapic-Skoko, B., O’Neill, G., Travaglione, A. and Foundling, M. (2006) ‘Academic professionalism and workplace change: exploring the impact of the psychological contract’, 3rd International Conference on Contemporary Business, Peppers Fairmont Resort, Leura, Australia. Ferres, N., Travaglione, T., and O’Neill, G. (2005) ‘Developing transformational leadership through trust and emotional intelligence’, First Annual Business and Leadership Symposium, Fort Hays State University, Hays, Kansas, USA. Heffernan, T., O’Neill, G., Travaglione, A., and Morrison, M. (2005) ‘Relationship Marketing, Emotional Intelligence and Performance’, ANZMAC Conference, Fremantle. O’Neill, G. and McMullen, C. (2004) ‘The DBA in Australia: meeting educational and professional development needs in a rapidly changing world?, SAM/IFSAM Conference, Göteborg, Sweden. O’Neill, G. and McMullen, C. (2003) ‘DBA transitional issues: candidates and supervisor perspectives’, ANZAM Conference, Fremantle. O’Neill, G. and McMullen, C. (2002) ‘Managing the transition: MBA to DBA’, Fourth International Biennial Conference on Professional Doctorates Conference, QUT, Brisbane. O’Neill, G. and Crouch, M. (1997) ‘Eating into the self to satisfy the identity appetites of contemporary culture’, Australian Sociological Association Conference, University of Wollongong. O’Neill, G., Krivokapic-Skoko, B., Foundling, M. (2007), ‘Exploring Psychological Contracts Established by Academics at an Australian University: Focus Group Analysis’. Faculty of Business Working Paper Series, Charles Sturt University, Working Paper No. 03 /07.